Sheep stolen in the night, people disappearing, rumors of beasts and one boy determined to find out what is going on. This is the underlying plot beneath Josh Bishop’s delightful first novel, Benjamin Weatherby’s Practical Bestiary. Although aimed at a young-adult readership, the book will delight old-adult readers as well. Pilcrow is an adventurous teenager at a time when villagers get to town in a horse-drawn cart. But it is a society edging into modernity and Pilcrow, like the rest of the villagers, is unknowingly on the cusp of change. Pilcrow, and other children can still wander the fields without fear, yet something lurks in the shadows that introduces fear into the world. And, as it turns out, it is a fear the modern world wants to forget at the expense of living. In addition to the unnamed fear, a stranger arrives in town. Actually, he is called the Stranger for most of the book. Put together, we have the creation of life’s greatest fear — fear of the unknown. Instead of hiding from this fear, Pilcrow seeks to understand the unknown. Some of the knowledge comes in an unusual book, the “Benjamin Weatherby’s Practical Bestiary” of the novel’s title. However, Pilcrow also learns from others, including his elders. His relationship with his parents, especially his father, is strong and although he pushes the boundaries (he is a teenager!) he clearly respects their input. He is also surrounded by other adults from whom he learns to live, more by their example than by lectures. The Shepard lives a simple life by choice, Father Chestnut is a priest of wisdom, wit, and width (sorry, couldn’t resist), and Grantham Ken, father of his friend, Alinea, is patient and encouraging. These relationships are essential as Pilcrow finds out that people will lie and put others at risk just for money and acceptance. While he learns this when visiting the university in a neighboring town, there is also a person, Tayben Rod, like this in the midst of their own village. While he is the wealthiest man in town, he is more accommodated than liked. And in him, Pilcrow learns how not to live. As Pilcrow goes into the midst of the fear, quite literally when he enters The Bloodwood, he finds that Alinea has preceded him. In other words, we do not need to enter the unknown alone. The tender relationship between this boy and girl is one of trust in the midst of chaos or distrust. Bishop treats their relationship with a respect too few people give to young love and it is a wonderful sub-plot in the novel. The main plot centers around the fear which is encompassed in one character (I don’t want to give too much away!) who brings death and destruction. Yes, it is a young-adult novel which is willing to show you the cost of ignorance in somewhat graphic scenes. And Pilcrow, with the help of Alinea and others, faces this fear in a climatic finish. They succeed because they trust one another, learn from the past, and seek the wisdom of others. Bishop has written the classic “page-turner” novel. It was a one day read for me as I kept wanting to see what is next. A sign of a good novel is the reluctance to set it aside. Benjamin Weatherby’s Practical Bestiary will stay in your hands right to the end. You cannot find this on Amazon or your local bookstore, yet, so visit the website and order a copy today! You even get to create your own illustrations and can submit them to the website for everyone to see. 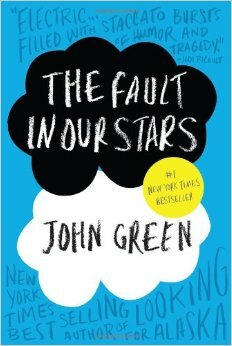 While not usually one for young adult books, I read John Green’s The Fault in our Stars along with my 14-year-old for a summer read. The book has been getting a lot of press (and it is now a movie), and having lost my 6-year-old to cancer 14 months ago, I’m a bit attuned to cancer-related books. However, there are so many bad books out there, I was worried this would trivialize a clearly non-trivial topic. While everyone’s experience with cancer is different, Green gets it. Sure, I could argue details and teens with cancer will surely find issues to challenge, but this is believable. What struck me was how much he gets how cancer impacts a community, and especially a family. While the two teenagers, Hazel Grace and Augustus, are the ones dealing with life and death issues of cancer, we also see how their parents and friends handle it. Or don’t. Toward the end of the book we hear about all these people showing support on Facebook, but it is clear they have been absent from the daily lives of these teenagers and their families. As a result, and because of newly shared interests, the cancer community creates its own world. For nearly three years our family was part of that community at a Children’s Hospital, and when we lost our son, we lost that community. The rest of the world, frankly, just does not get it. Green sees this alienation, sees how families respond, and respects that new world. The title is great, as it a play on Shakespeare’s Julius Caesar where Cassius says to Brutus, “The fault, dear Brutus, is not in our stars, / But in ourselves, that we are underlings.” Green is saying is that the lives of Hazel Grace and Augustus have been created by outside forces. However, they take that “fault” and refuse to let the cancer rule their life. Their trip to Amsterdam is a slap in the face of the victim mentality they could assume. Most telling is when Augustus identifies himself with his cancer. “What am I at war with? My cancer. And what is my cancer? My cancer is me. The tumors are made of me. They’re made of me as surely as my brain and my heart are made of me. It is a civil war, Hazel Grace, with a predetermined winner.” This reminded me of the time my oldest son was asking my youngest son with cancer, Oliver, about what kind of robot he would be if he could be a robot. As they talked about the traits, my oldest said, of course, that Oliver’s robot would not have cancer. “Yes it would,” said Oliver. “The cancer is part of who I am.” In other words, cancer patients begin to live with, and not against, this horrible disease. That is harsh. That is true. And that is why this book is worth reading, whether or not cancer has entered your life. You get a real sense of what it is to live with cancer as a patient and a family. And the cancer community loses people all the time, so they get grief. If any part of the book could be changed, it is a sexual encounter between two teens that could have been avoided. It adds nothing to a connection that is already there, and does not send the best message to teenagers (call me a prude, but there are other options in life). Not my words, but my feelings.